Park Grandeur is a residential project developed by a joint venture of Pride Purple Group, Samarth Group, Rainbow Housing and Abhinav Group, a luxurious and prestigious residential development having 3BHK and 4BHK apartments will be coming up in the rapidly expanding residential vicinity of Pune. Its proximity to hospitals, government schools and other reputed schools, colleges, banks, supermarkets and specialty restaurants will make it a dream destination. Where is Park Grandeur located? The project is located in Baner, Pune. What is available flat size in Park Grandeur?  Flat sizes in the project range from 116.0 sqft to 3794.0 sqft. 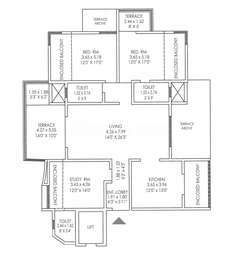 What is the 2 bedroom size in Park Grandeur? 2 BHK units in the project are available in a size of 116.0 sqft to 1257.0 sqft. What is the 3 bedroom size in Park Grandeur? The area of 3BHK units in the project varies from 1164.0 sqft to 3234.0 sqft. What is the area of 4 bhk in Park Grandeur? The size of 4BHK units in the project ranges from 1722.0 sqft to 3794.0 sqft. How much is the actual area of Park Grandeur?The area of the project is 5.0 Acres. I am looking to buy an apartment in Baner and one of my friend suggested to go for Park Grandeur. Please tell me the current rates here. Also, I would like to know about the amenities developer is providing to its residents. Hello Aniket, Park Grandeur is a ready project and offers 2BHK, 3BHK and 4BHK apartments. The project is spread across 5 acres of land and features 3 towers with 18 floors and 298 units in total. At present, you can get 3BHK apartments only in between Rs 2.45 crore to Rs 5.20 crore. Amenities available here include swimming pool, garbage disposal, jogging track, piped gas, multipurpose hall, water storage, rainwater harvesting system and CCTV camera security, among others. This project is located in a developed area and there is no shortage of social utilities. Some of them are CM International School, Apache High Street, Dhanwantari Hospital, Cinemax, Kotak Mahindra Bank, Hotel Sri Krishnai and Preets Punjabi Swad, among others. All in all, it is a good project to reside but before making any final decision please conduct a site visit. I am interested in booking a home at Park Grandeur. Does anyone have any opinion on the connectivity? Hi Amrute, Park Grandeur is located close to Mumbai-Pune By-Pass Highway which provides sound connectivity to reach other parts of the city. This area is well-connected with wide roads and rail networks. Regular transport options are easily available here. Moreover, this area has garnered tractions from buyers and investors due to a significant improvement in infrastructure and its proximity to IT hubs.